This system provides customers the flexibility to produce electricity and useful thermal energy through their applications. The Flex MT250 EX is the only turbine in its class to offer such options to the customer. 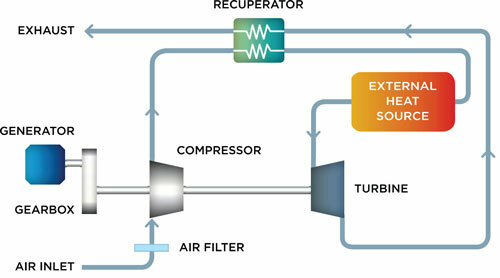 The Flex MT250 EX is a gas turbine, which takes advantage of hot air from an external heat source to produce electricity.